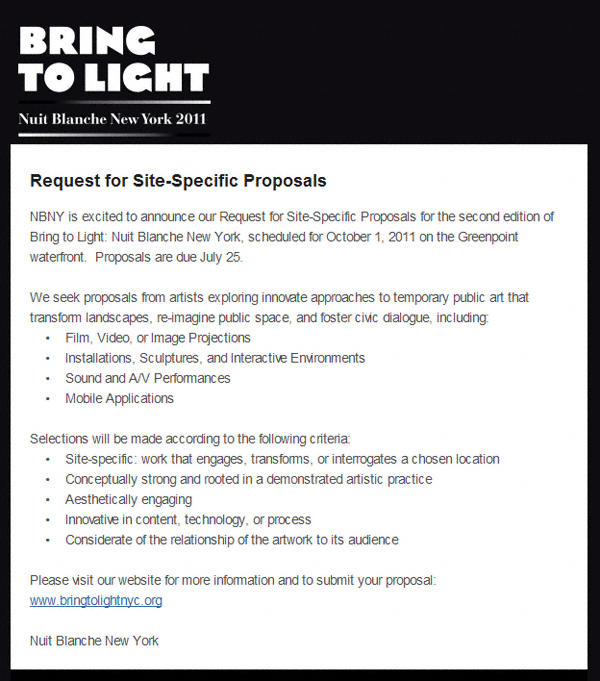 Given the great popularity of last year’s festivitiesI feel compelled to pass along that Nuit Blanche New York is accepting proposals for this year’s event. NOTE: the deadline is July 25 and you can learn more (or submit a proposal) by clicking here. Good luck!